Projects and Grants Management Director Sathappan Sathappan represented ASSIST during the event. Asia Society for Social Improvement and Sustainable Transformation (ASSIST) and other partners successfully launched (see related article) Project EMPOWERING: or Project Enhanced Monitoring System on poverty watch for a more Effective and Responsive Approach in Governance yesterday September 19, 2011, 10am at the Grand Caprice Restaurant in Limketkai Center, Cagayan de Oro City. 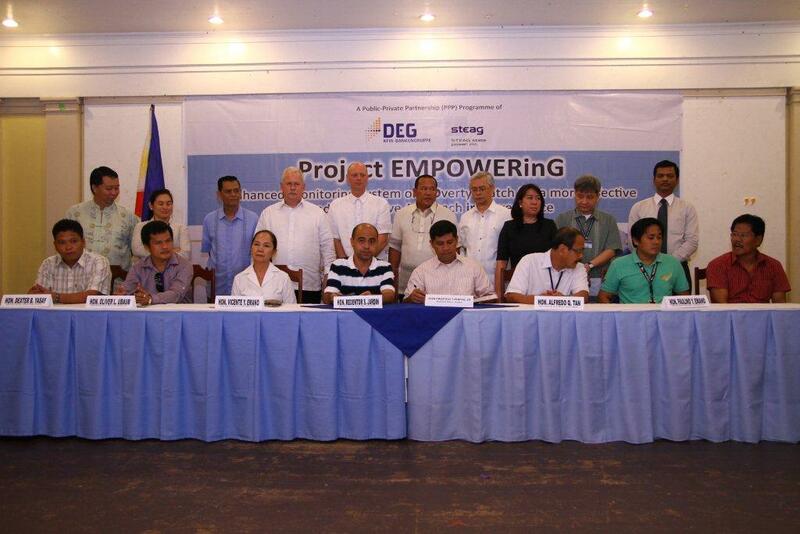 Jointly funded by STEAG and DEG, the project will focus on updating the database and information system of the Planning Offices of Cagayan de Oro City, Misamis Oriental. 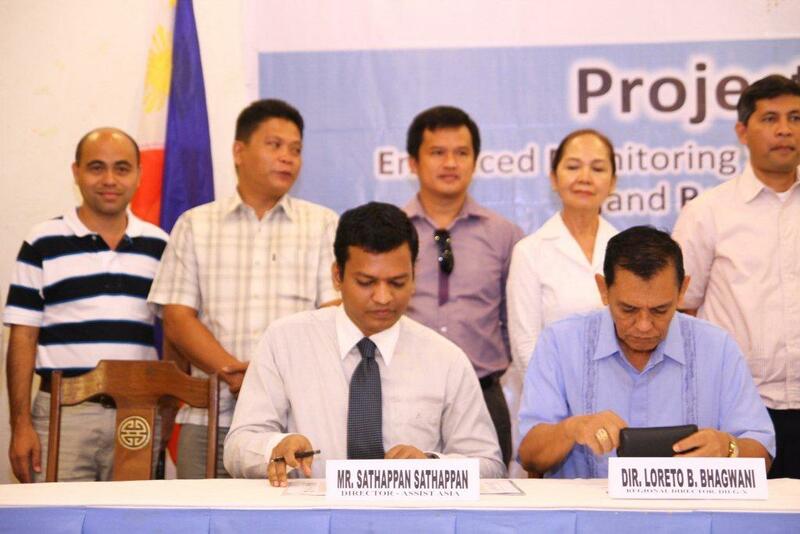 Six (6) municipalities from Misamis Oriental will be piloted for Community-Based Monitoring System (CBMS) implementation considering its strategic importance to the industrialization and eco-tourism potential of Northern Mindanao, where the private sector collaboration on poverty reduction initiatives is quite limited. The initiative will facilitate the updating of the database and information system of the Planning Offices of Misamis Oriental and Cagayan de Oro City. Dr. Bodo Goerlich, President and CEO of STEAG acknowledge guests and participants, while Ma. Teresa R. Alegrio, Community Relations Manager of STEAG discussed the project overview. ASSIST is one of the program partners, along with the Department of the Interior and Local Government; CBMS Network Coordinating Team; Xavier University; and the LGUs of Misamis Oriental, Cagayan de Oro City, Laguindingan, El Salvador, Opol, Tagoloan, Jasaan and Medina. ASSIST is responsible for concept development, quality management, collaterals development, monitoring of data gathering process and facilitation of training and development of case studies. DILG Secretary Jesse Robredo, represented by Undersecretary Austere Panadero, expressed appreciation to the project proponents for helping the local government units of the province in pursuing a clear-targeted anti-poverty program. Aside from the project partners, the Declaration of Support was signed by Gov. Oscar S. Moreno of Mis. Or., Mayor Pacifico T. Pupos, Jr. of Medina, Mayor Dexter B. Yasay of Opol, Mayor Oliver L. Ubaob of Laguindingan, Mayor Redentor S. Jardin of Jasaan and representatives of Cagayan de Oro City, El Salvador and Tagoloan.